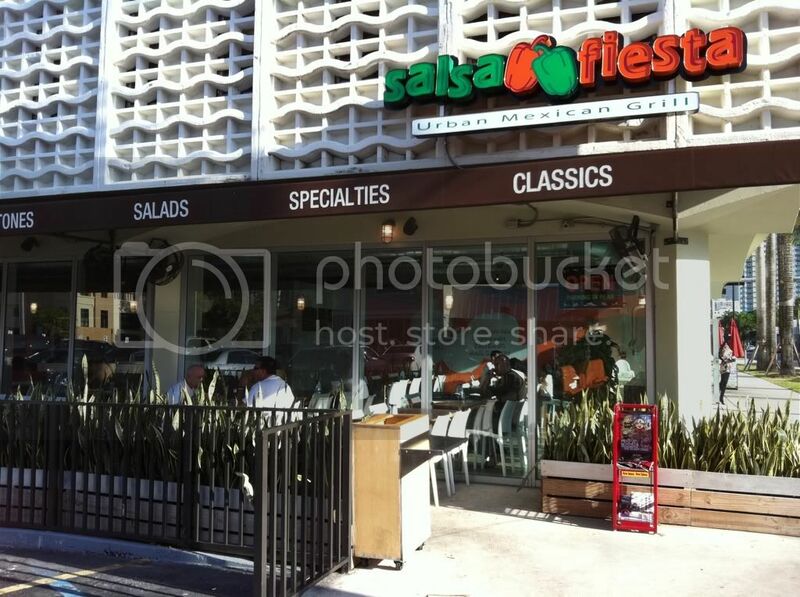 Fatgirl Hedonist: Salsa Fiesta Urban Mexican Grill spices it up! 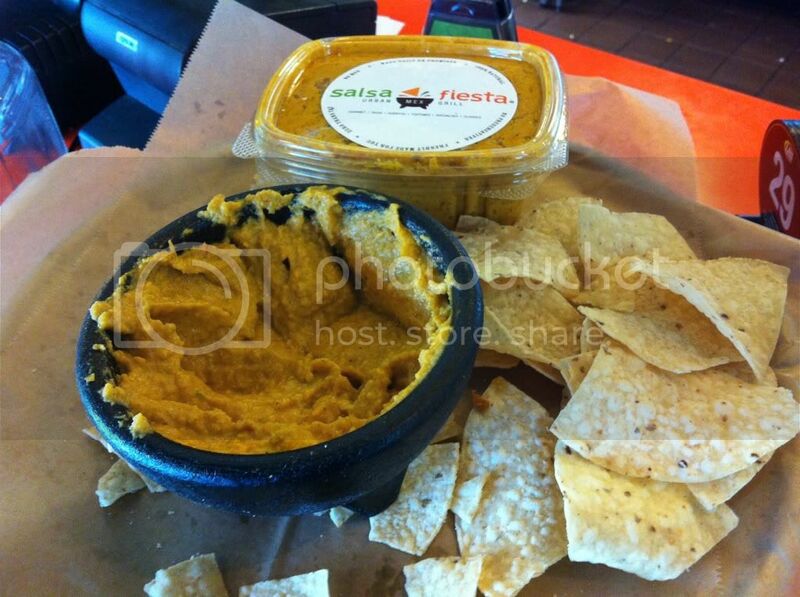 Salsa Fiesta Urban Mexican Grill spices it up! 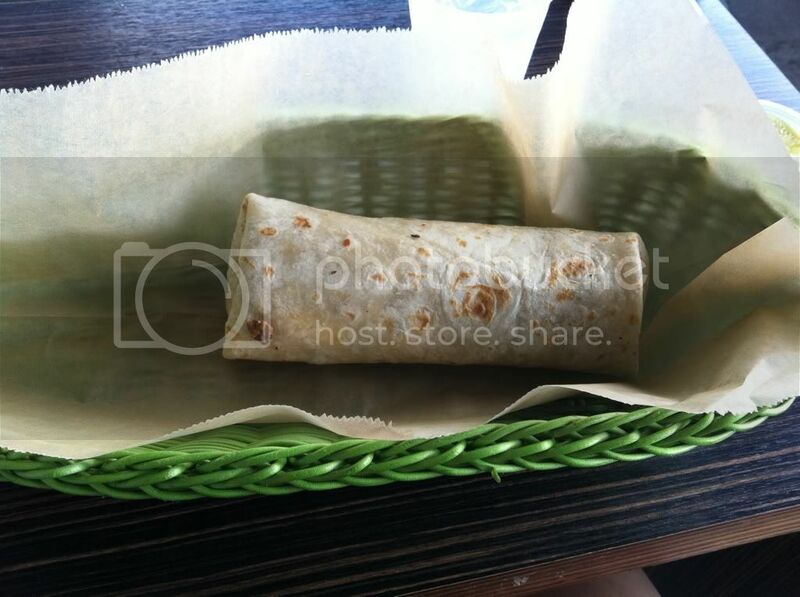 I was recently in the neighborhood when I came across Salsa Fiesta Urban Mexican Grill on US1 and 30th street. 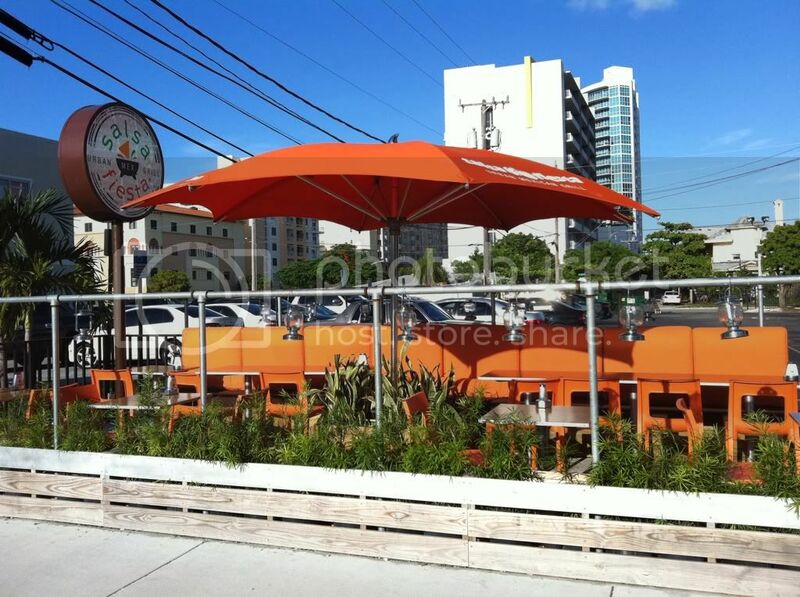 I had never heard of or seen this place before but their outdoor patio/lounge area seemed inviting. Turns out this is actually an international chain with only 2 locations in the United States. So I walked in and checked out their menu. They offer various types of different tacos, burritos, specialty dishes including enchiladas, salads, soups and other Mexican fare. 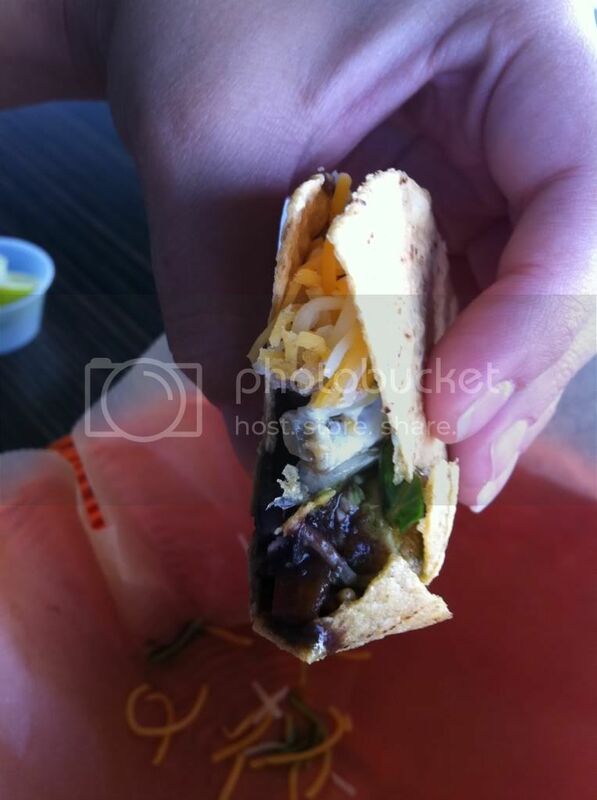 You choose what kind of meaty addition you want for your tacos and burritos, similar to Chipotle. The set up of the restaurant is a mix between fast food/on the go and a sit down restaurant. As you walk in, you grab a menu, walk up to the cashier and you order. You’re then handed a number and a server brings your food out to you. You serve your own drinks and additional salsa (if you so desire). The cashiers were very helpful the minute they saw my bewildered and confused face. They picked out this newbie right away and were very nice about suggesting different combinations based on what I was looking for. Also they serve free chips and homemade, corn based salsa at the register. As the cashier said, “I know it looks like baby diarrhea, but it’s really good.” Although slightly frightened with the visual, I decided to give it a try and it surely was very good and completely different to any salsa I’ve ever had. 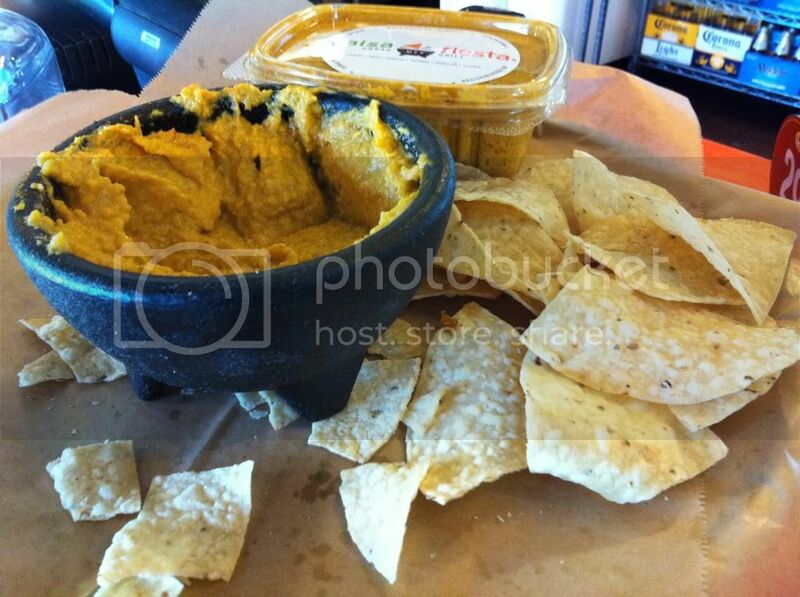 It was like a thick and spicy corn/salsa puree that went great with their home made chips. I decided to start off with one of their Mero Macho tacos with chicken. 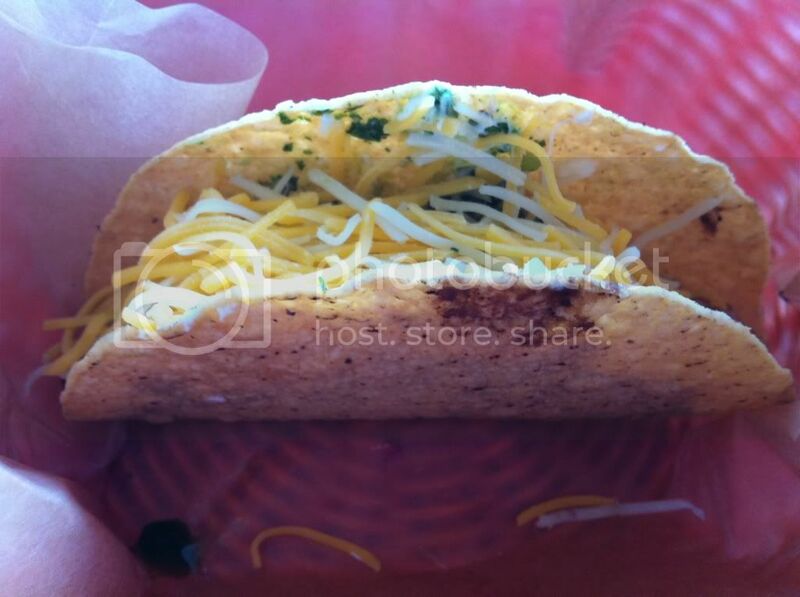 This taco comes with chimichurri salsa, black beans, lettuce, sour cream and topped with monterey and cheddar cheese. This little sucker is so messy; between the black bean juice and chimichurri salsa, by the time I was done I looked like I had been playing in mud. None the less, this mess packed quite a tasty punch. The chimichurri went perfectly with the chicken and black beans and the sour cream and cheese calmed any overtly spiciness. Definitely worth the messiness, but you’d better pack some extra napkins for this one. For my main attraction decided to go with their Mango Burrito with steak. The burrito also comes with an amazing cream chipotle sauce, shredded cabbage, cilantro lime rice, mango salsa, and sour cream. The mango’s sweetness went perfectly with the cream chipotle sauce and saltiness of the steak. 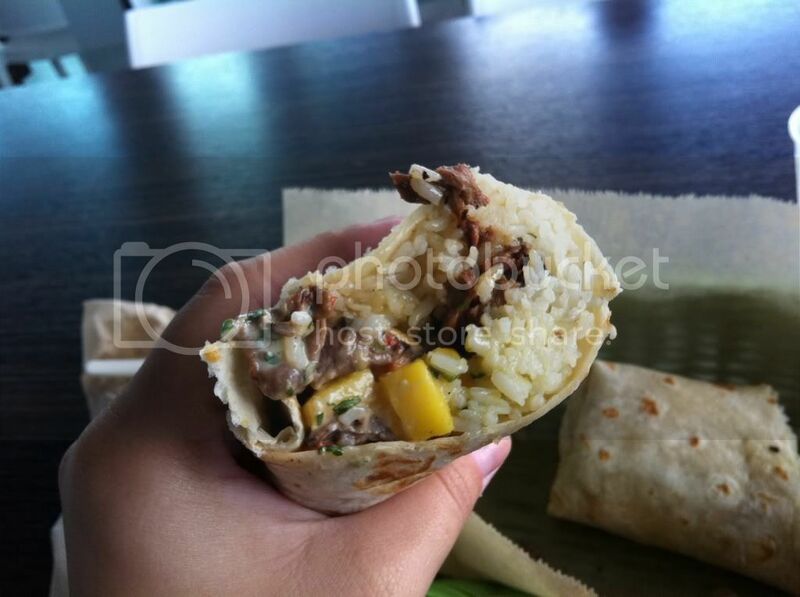 The texture of the mango also was a great contrast to that of the rice and steak in the burrito. Another big plus was the fact that this bad boy was perfectly wrapped which meant for once I wasn’t left looking like I don’t have opposable thumbs. 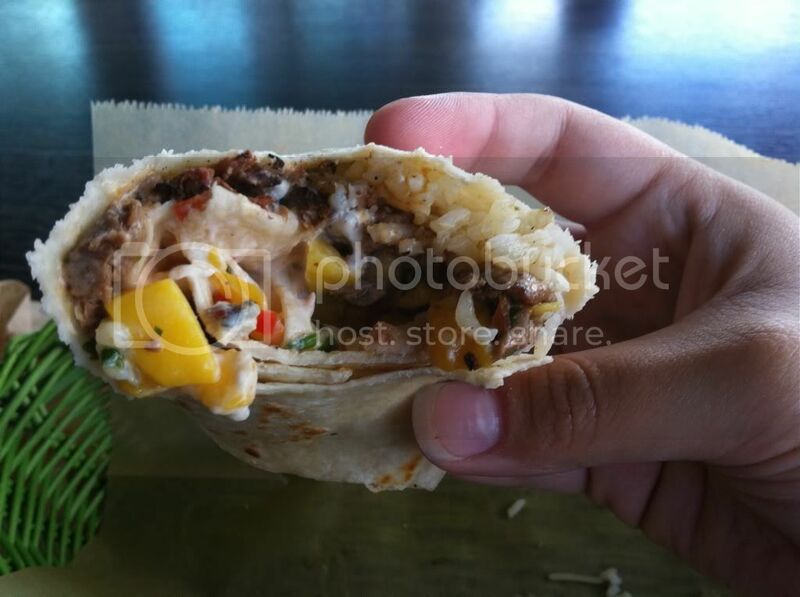 There was also a very generous portion of steak in the burrito, no skimping on the meat at this place. That makes a carnivore like me very happy. The happy marriage between the mango salsa and chipotle cream sauce is what really sky rockets this burrito into outer space. Just writing about the burrito makes me want to jump in my car and get one, but I’ll control myself at least til I’m done. The only downside is that this place only has one dessert option called the Mayan Roll, a crispy flour tortilla with chocolate, vanilla ice cream and dulce de leche. The cashier was honest and told me it’s ok, he didn’t try to sucker me into ordering it or play it up to be the most amazing dessert on the planet and that’s something I genuinely appreciate as a consumer. None the less, this place is a great alternative to your run of the mill Chipotle’s and offers a lot of different variety. The restaurant is too far east to be considered part of the art district and too far north to be part of the downtown hysteria. Definitely worth the quick drive down US1 for.